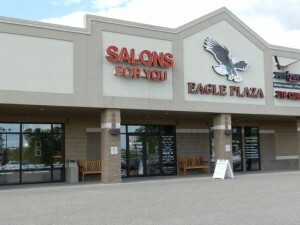 Manicure in Sauk City, WI | Pedicure in Sauk City, WI Treat your nails to a delightful experience. We offer manicures and pedicures at Salons For You and you can choose from a variety of new elegant styles and colors. Whether you're becoming a new bride, you're a teen going to prom or you just want to create a fresh new look for yourself, let us pamper you with a manicure or pedicure. We'll take the time to help you choose the right style and color for you that provides your nails with a stunning appearance. Isn't it time for you to pamper yourself and give your hands and feet a well deserved rest? Schedule yourself for a manicure or pedicure today. Schedule Today. Treat your nails to a delightful experience. We offer manicures and pedicures at Salons For You and you can choose from a variety of new elegant styles and colors. Whether you’re becoming a new bride, you’re a teen going to prom or you just want to create a fresh new look for yourself, let us pamper you with a manicure or pedicure. We’ll take the time to help you choose the right style and color for you that provides your nails with a stunning appearance. Isn’t it time for you to pamper yourself and give your hands and feet a well deserved rest? Schedule yourself for a manicure or pedicure today.